The meeting highlighted Lazarex Cancer Foundation's new iMPACT pilot program, which is working to improve patient enrollment, retention, and minority member participation in oncology clinical trials especially among underserved populations. 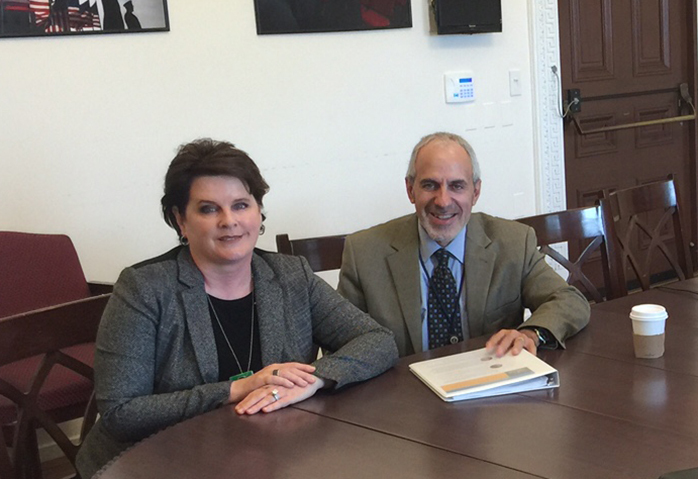 Danville, CA, June 8, 2016	(Newswire.com) - Dana Dornsife, founder and president of Lazarex Cancer Foundation, recently met with Greg Simon, executive director of The Cancer Task Force in the Office of the Vice President of the United States, to discuss the mission of the foundation and its new iMPACT pilot program. Also in attendance were Lazarex’s Chief Medical Officer Robert Johnson, M.D., Ph.D., Board Member Karen Sessions, and Bruce Chabner, M.D., Director of Clinical Research for Massachusetts General Hospital Cancer Center. More commonly known as and referred to as The White House "Moonshot" Cancer Initiative, the effort announced by President Obama in his most recent State of the Union address, has been tasked with making the most of federal investments, targeted incentives, private sector efforts from industry and philanthropy, patient engagement initiatives, and other mechanisms to support cancer research and enable progress in treatment and care. iMPACT is a Lazarex Cancer Foundation initiated pilot program, conceived by Dornsife, after her close working relationship with Massachusetts General Hospital, to improve patient enrollment, retention, and minority member participation in oncology clinical trials, especially among underserved populations. 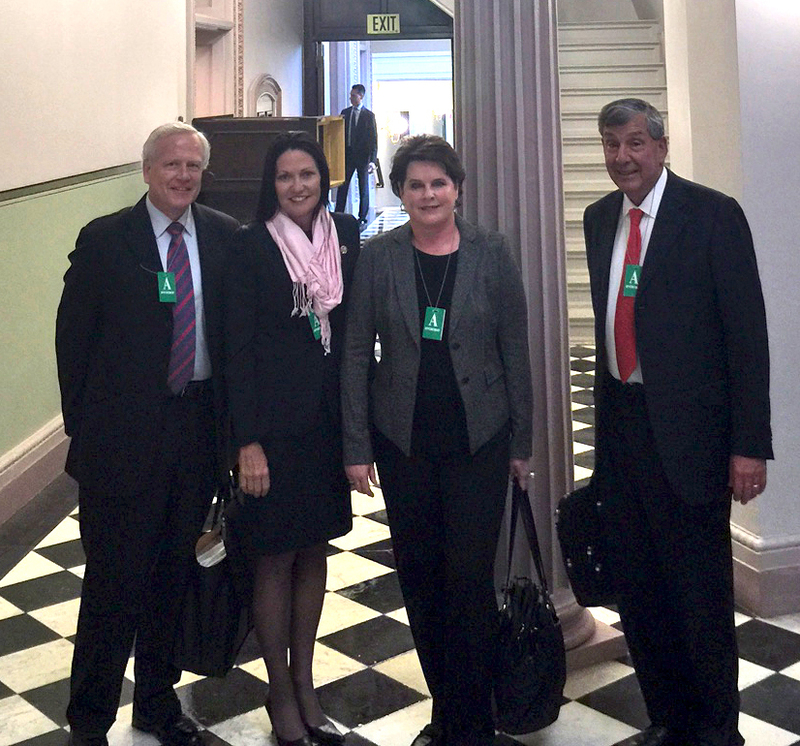 Through the iMPACT initiative, Lazarex Cancer Foundation has been working closely with a number of state legislatures, congressional leaders, the National Institutes of Health, the National Cancer Institute, and dozens of cancer centers across the country to improve trial participation. In addition, the initiative brings together the significant resources of academic institutions, affiliate medical centers and public health organizations to harness their medical, socioeconomic, ethnic and geographic assets. These assets combined with the mission and efforts of Lazarex Cancer Foundation, creates a powerhouse to facilitate a “boots on the ground” effort, effecting significant and much needed change to the status quo of clinical trial recruitment, retention, minority participation and equitable access to cancer care. Director Simon and the Lazarex team will continue their dialogue and hope to meet again soon on next steps. For more information, please visit Lazarex.org. Lazarex Cancer Foundation’s mission is to improve the outcome of cancer care for advanced stage cancer patients and the medically underserved by providing assistance with costs for U.S Food and Drug Administration’s clinical trial participation as well as with the identification of clinical trial options, community outreach and education. For more information, please visit Lazarex.org. We improve the outcome of cancer care for advanced stage cancer patients and the medically underserved by providing assistance with costs for FDA clinical trial participation, identification of clinical trial options, community outreach & education.